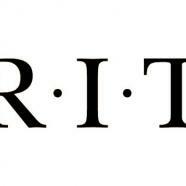 RIT classes - those starting at 5 p.m. or later - will be canceled this evening due to severe weather conditions. Any classes currently in session will end at 5 p.m. There is a high wind warning for Monroe County and surrounding counties that will remain in effect until 10 p.m., according to the National Weather Service. Monroe County officials are urging residents to avoid traveling during the afternoon and evening, due to fallen power lines and trees. Future updates will appear on the RIT homepage. You may also visit RIT News Twitter https://twitter.com/RITNEWS and RIT Facebook https://www.facebook.com/RITfb for updates. Please be safe and monitor weather conditions throughout the evening. Exercise caution when walking or traveling on campus.